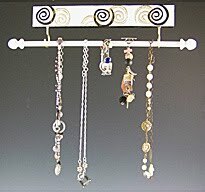 Lil' Blog and More: Review and Giveaway: Earring Holder Gallery- 1 Winner- Ends 7/21 - US only! Review and Giveaway: Earring Holder Gallery- 1 Winner- Ends 7/21 - US only! I bet you never thought of owning a beautifully designed Earring Holder before. I hadn't either! I used to have this plain black one, that really, just looked tacky. Now I have the beautiful frog design and I have to say, it looks beautiful on my blue walls. Now seriously, Isn't it beautiful? I love it! 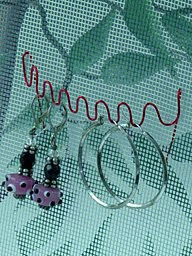 I have lots and lots of earrings so for someone like me, having an earring screen is a must! I would say I own about 200 different pairs. 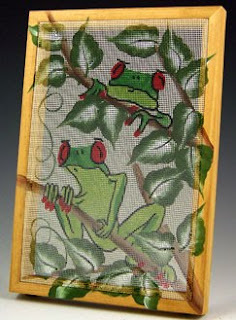 The Frog Earring Holder is 7x10 so it can hold about 20-35 pairs of earrings. I will have to buy more screens (And I will, for sure!) but with the beautiful hand painted design it is so worth it! Each Earring Screen is handpainted, making it a one of a kind piece of art. For $30 a screen you can't go wrong. You are getting an earring holder and a beautiful piece of art. Once I get a few more I am planning on hanging them all beside each other on the wall. I will show you some of my favorites in a second I will show a few of my favorite designs and you'll have to imagine how beautiful they will all look alongside my wall side by side. Isn't that awesome? I love the idea! And then theres the Jewelry Stick. The Jewelry Stick is just a small handpainted back and bar that you can slide your necklaces, bracelets and rings right on to. This is perfect for anybody who has a hard time keeping track of there jewlery. Say you were going to take a shower, All you have to do is slip it off and slide it right on. Now you never have to worry about losing it again :). 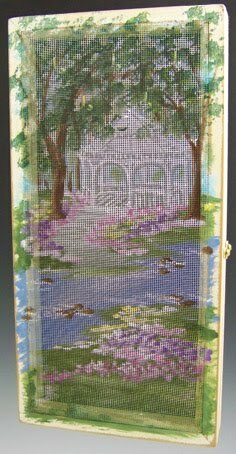 And then here is my personal favorite: The Gazebo Jewelry Cabinet. Holds lots of earrings on the outside and holds tons of bracelets and necklaces on the inside. And come on, there is no way you can resist that beautiful picture. I am in love with the picture, gorgeous! And that's only to name a few! If you are looking for a jewelry organizer of any kind then I really recommend looking into The Earring Holder Gallery. They have so many differnt designs and so many unique products! Mandatory Entry: Visit The Earring Holder Gallery and tell me which design you would like if you were chosen as the winner. *UPDATE:* Here is the coupon code I promised! It is valid until July 21st, so if your interested you better get one while you still can! 15% off is a lot of money saved! This Giveaway was chosen as an Editor's Pick on Prizey! I like the Butterflies one in multi pink, purple, green color. I entered the $100 gc giveaway! I really like the Violet Border holder. #1 Signed up for the Earring Holder Gallery email list. I'm a new Follower visiting from TTA! 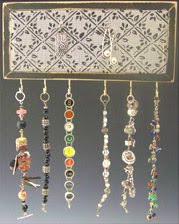 I like 7x10 Earring Holder - Butterflies. I entered Giveaway- $100 Gift Card of choice. I entered City Slips giveaway. I entered Kete3 Lampwork Necklace. I would choose the ladybugs. I like the Violet Border. I entered Zero Water Pitcher giveaway. I entered Find It Games. 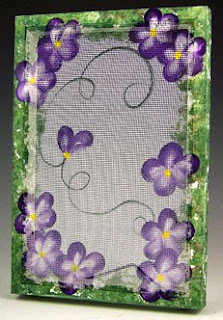 Visited the Earring Holder Gallery and would love the 7x10 Earring Holder - Violet Border earring holder. Very Pretty! 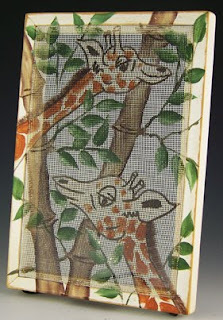 Signed up for the Earring Gallery Holder's newsletter. My favorite is Bamboo (but I like Palm Trees, too!)! I follow EarringHolders on Twitter as hybroanglid. I entered the Find It Games giveaway. I entered the ZeroWater giveaway. I entered the Alexa's Angels giveaway. My teen & tween daughters would love the Purse & Shoes one and my 2 older twenty-something daughters would love the Martini one...there might be a cat fight over this! What a creative & beautiful way to display and organize! I entered your Affordable Scarves giveaway! I follow earring holder on twiotter! 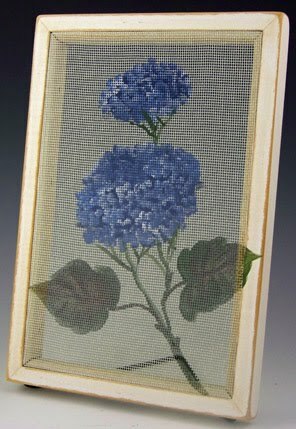 I love the Monogram White Frame - Dots!